I've now started creating the Lannister forces. 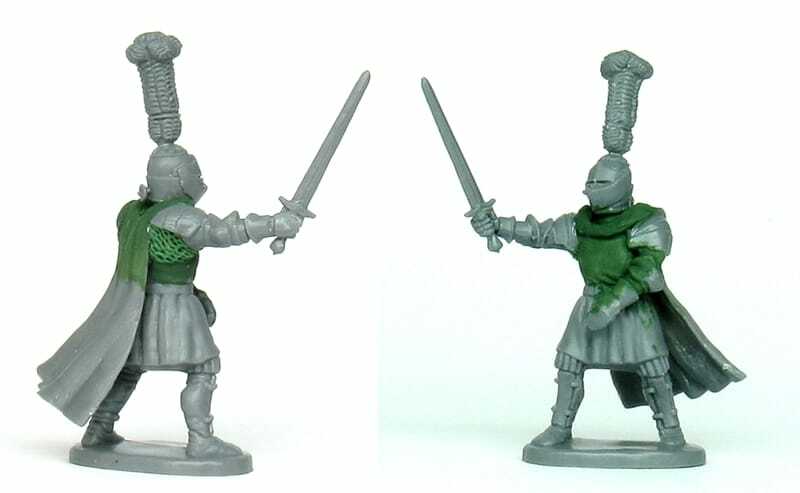 These are hybridised from the various Perry WOTR boxes crossed with the Fireforge Templar Knights and Templar Infantry bodies. 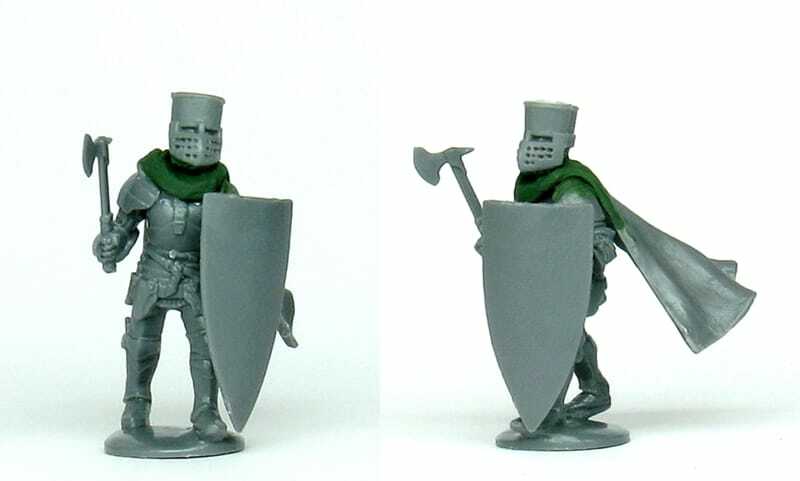 The simple rule for making effectively unconventional looking, pseudo-medieval figures is to use Fireforge arms and heads with Perry bodies and vice-versa. This seems to work well in most cases. The strange fusion of C12th and C15th historical styles, provides quite an interesting 'Hollywood Medieval' look, which I feel is very much the vibe of the books (however much they may have succumbed to other influences in making the TV series). I've given them all cloaks as a trademark, because it seems to me that the Lannisters are the sort of arrogant swine that wear cloaks. 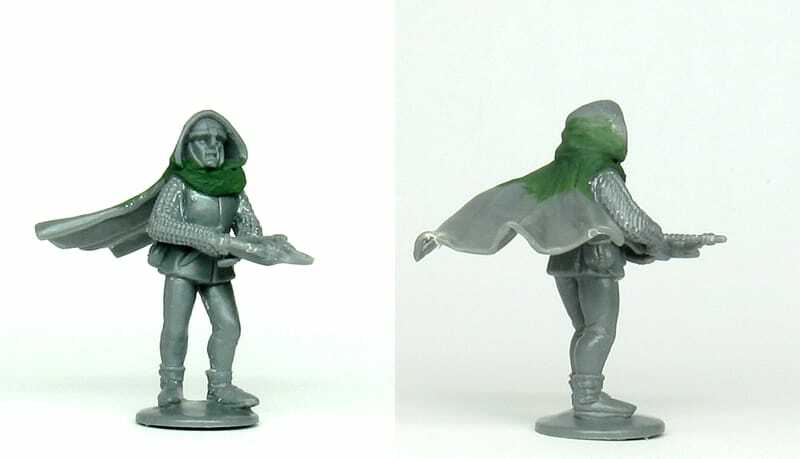 Plus, to be fair, the cloaks and a fair amount of Green Stuff help conceal the imperfect joins between some of the heads and arms from House Perry and House Fireforge. A few heater-type shields are essential too, so that I've got somewhere to paint the house sigils. 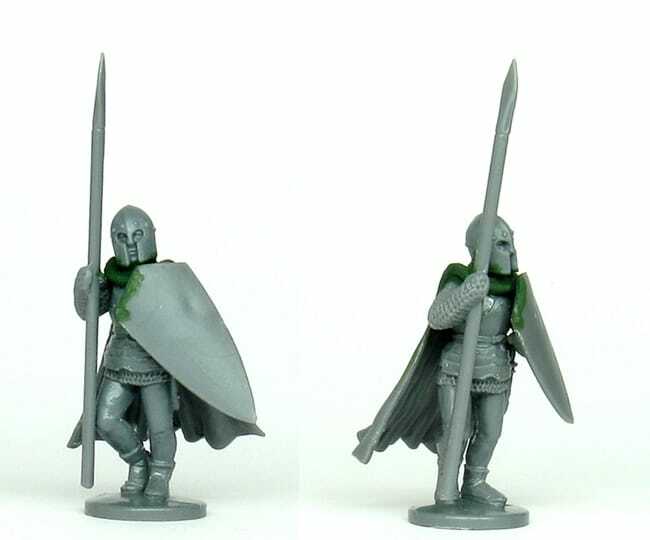 Next is a Lannister spearman - quite elegant I think. Elvish almost. I blame the Italianate barbuta helmet. 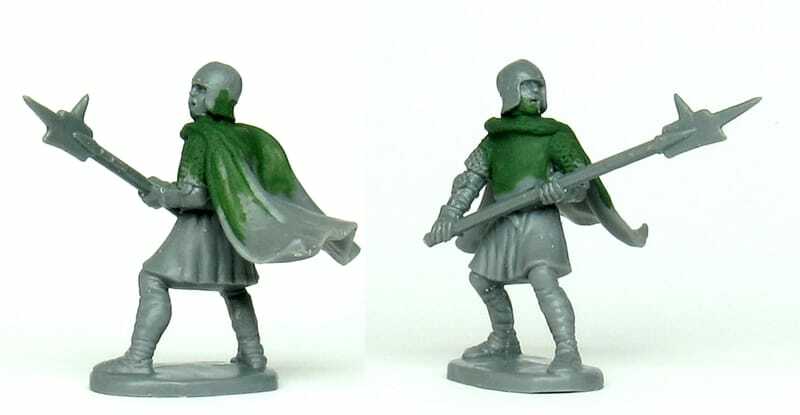 Next a Lannister crossbowman - with full 'Scottish Widows' cowl and flying cape. And finally for now, another knight. Possibly Ser Amory Lorch. He looks kind of squat, brutal and businesslike doesn't he? These look good. The caped crossbowman looks like he could be from the Night Watch too. Nice conversion work as usual. 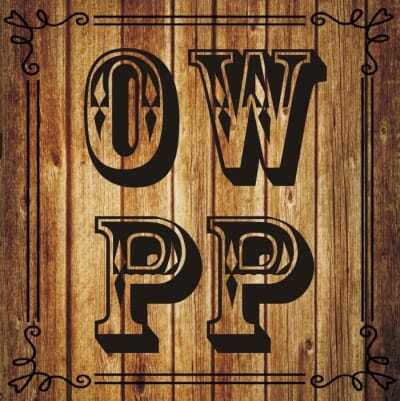 I am shocked that you are doing a Fantasy project, though. Is this a first for you? Nice! This may well tip me over the edge to start some Westeros action!! Now this should be inspiring...even as some one with no interest in The Game of Thrones. I look forward to seeing your WONDROUS WORKS! Great, another thread to follow. My real life is no more. I'm excited to see what's next! Hopefully the Perry Bros. Foot Knights will come out soon. Nice! I'll definitely be watching this project unfold. "There is a pleasure sure In being mad which none but madmen know."